The previous leasers of Park City Mountain Resort, Powdr. Corp., had been paying on a lease deal for the resort that dated back to the 70's. They were essentially grandfathered into a pretty sweet lease deal of about $150k per year which went to the landlords, Talisker Land Holdings. Powdr failed to submit their lease-renewal documents on time and, within just a few days of that lease due date, Talisker Land Holdings evicted Powdr. It was no surprise that Powdr quickly picked a nasty legal battle that lasted for quite sometime. Talisker then proposed a new Canyons lease deal to Vail Resorts also bundling in the adjacent Park City Mountain Resort...the only caveat being that Vail Resorts help fight Talisker's legal battle with Powdr. Vail Resorts obliged. Shortly after, under intense legal and financial pressure, Powdr sold its coveted resort to Vail for $182.5 million. Learn more about this deal in this Denver Post article by Jason Blevins (@jasonblevins). Vail Resorts now owns both Canyons and Park City, effectively creating the largest ski resort in the United States at 7,300 acres. So the lesson is -- paying your rent on time is pretty frickin' important. I had a quick chat with Ryan Dohnal, National Group Sales Manager with resort owners, Vail Resorts. I obviously had a ton of questions, but the most important one we asked was related to you, our dear reader and fellow ski enthusiast! I asked, "What does Vail Resorts feel is the biggest benefit skiers gain from combining Canyons into Park City?" Those are some pretty big benefits and we here at SkiSync think it's going to be a huge success. Welcome to the Largest Ski Resort in the U.S.
Yep, the new Park City resort is huge and stands a good chance of becoming one of the top winter destinations in the U.S. Now that Vail Resorts is pumping some serious money in for upgrades and additions, very few people will want to miss out on skiing at such an epic place. Learn more about Canyons Village here. Learn more about Park City Ski Resort here. 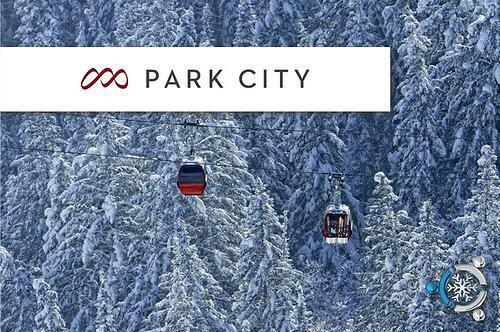 Want access to exclusive deals on Park City lodging and other cool ski related stuff?